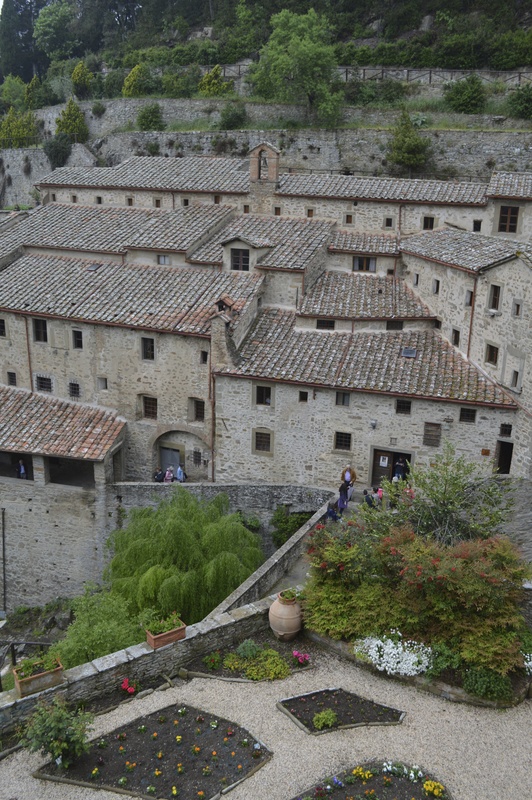 On a recent trip to Italy we visited a Monastery in Tuscany called The Convent of the Cells. As we were leaving we had to climb a long series of steps and I was walking next to the rock wall. 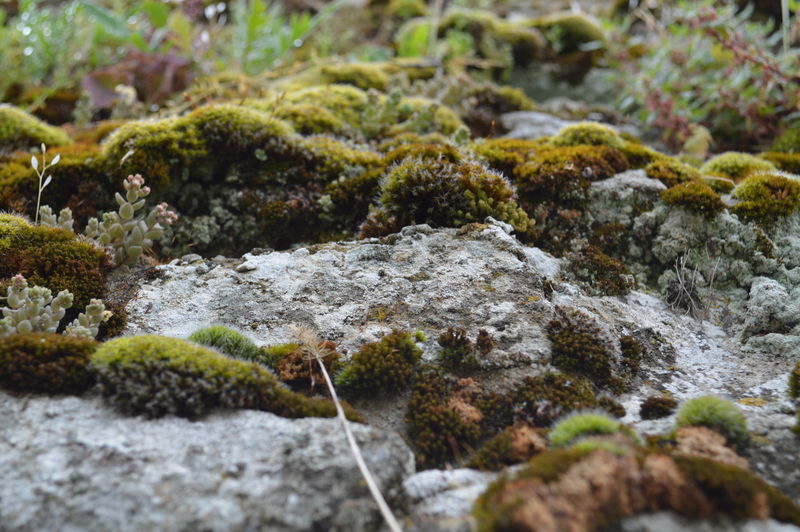 I happened to look up to see how many more steps I had left to climb and I noticed the moss and lichen clinging to the old stones. I took a few photos and didn’t really look at them again until I saw this Challenge. The photo looks like it might be a shot across the ground instead of up a wall. It’s almost like a landscape in miniature. This Challenge will help me keep POV in mind as I evaluate potential subjects. Pingback: Weekly Photo Challenge / B4 Retouch: An Unusual POV (Défense Landscape) | What's (in) the picture?